All of the information contained in the Therapist Directory on NEFESH has been provided by the individuals and agencies described herein. NEFESH assumes no responsibility for verifying the accuracy of the information provided in this directory, nor does it recommend or endorse the services of those listed. This website may contain links to other Internet sites or an email address. Such links are provided for the convenience of the user and NEFESH does not endorse, approve of, or warrant the accuracy of the information contained in any site to which any user may be linked. 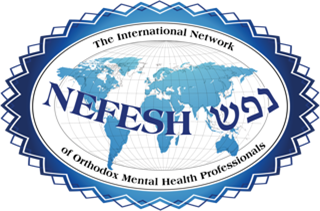 Use of this Therapist Directory is completely voluntary and will not result in any liability against NEFESH.